The Berkan Hotel is located at the heart of the Turkish resort of Alanya, just a couple of minutes from the beach, a short walk away from the extensive shopping centre, and about half an hour's walk from the harbour and stunning castle. Under new management from 2011, the 29 rooms in the hotel have been re-styled and individually personalised to ensure that all of our guests enjoy their stay with us. Most rooms have a beautiful sea view, and a balcony where you can spend time watching the ebb and tide of the Mediterranean sea under the full moon. Breakfast , and if you're a half board guest dinner, is served in the hotel restaurant which also offers poolside snacks and a tempting a La Carte menu. Local Tips: Alanya hosts a variety of annual festivals such as the Tourism Art Festival (end of May to the beginning of June), the Alanya International Culture and Art Festival (beginning of October), and the Alanya Jazz Festival (beginning of September) and more. Please Note – Rates are exclusive to European Union passport holders only. The facilities at the Berkan Hotel offer everything you need for a relaxing holiday. Guests may enjoy the hotel's facilities and services which include an outdoor swimming pool, pleasant a la card restaurant and pleasant bar ideal for a light refreshment and TV lounge. 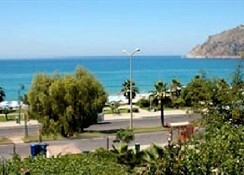 The Berkan hotel is the ideal choice for those seeking a relaxing break in Alanya. Food, drink and entertainment: Breakfast is buffet-style. All half board meals are served on a set menu, however in high season the hotel may offer an open buffet of the same standard. A big screen TV is in the lobby. 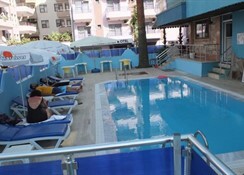 Sports, games and activities: Freshwater swimming pool, sun terrace with sun beds and umbrellas, separate childrens pool. 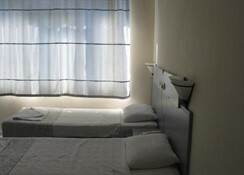 Additional: Reception, Internet Access,Room service. 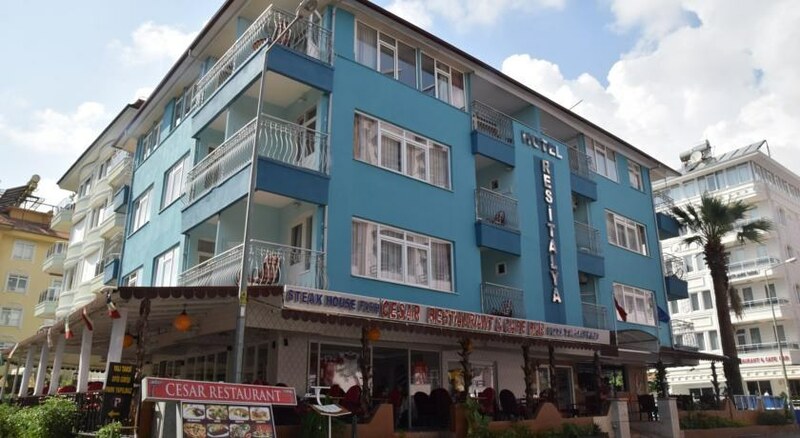 The Berkan Hotel features 29 guestrooms (26 have sea views) and all offer air conditioning (local charge), Satellite TV, telephone and private bathroom with hairdryer.